- Tree view, drag-and-drop to reorder. 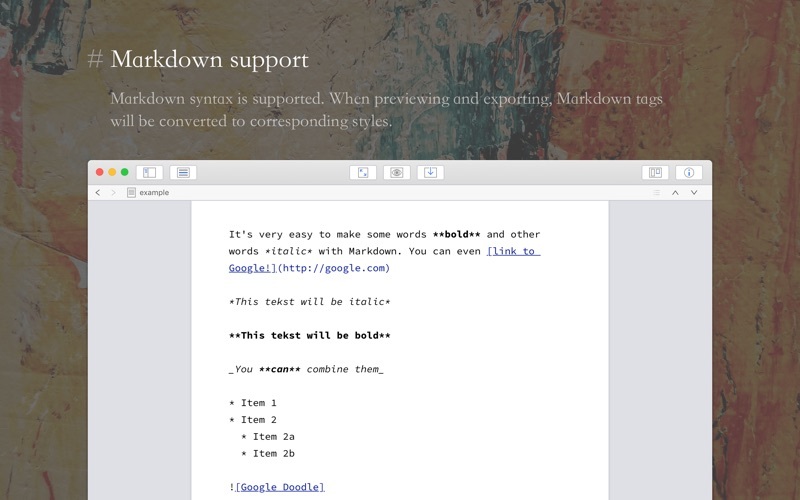 - An easy-to-use text editor that supports Markdown. 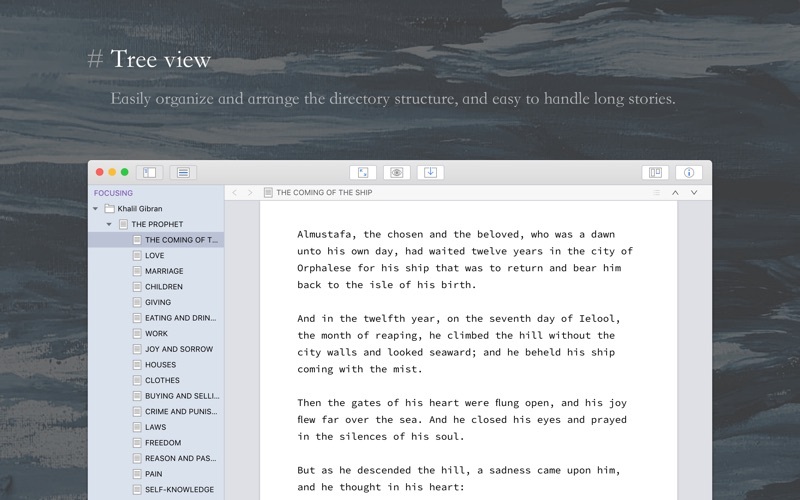 - Supports full-screen mode, lets you focus on writing. 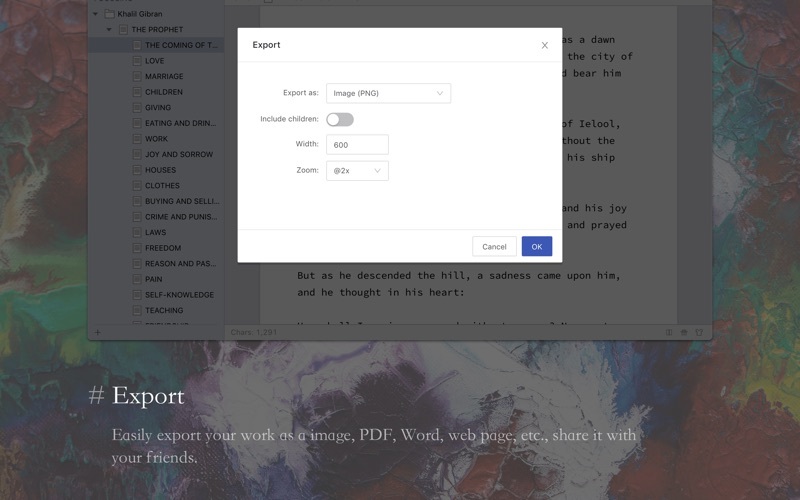 - Docs can be exported as Image, PDF, Word, HTML, etc. - Auto save while editing. You can backup all docs as a single file and restore from it later. 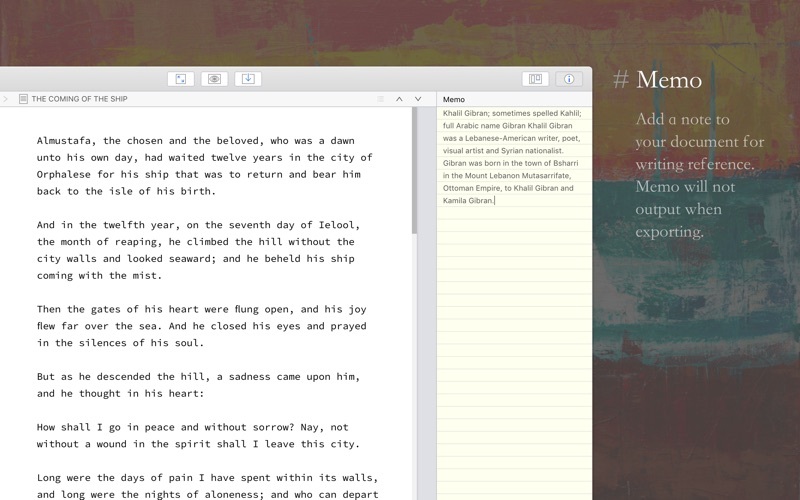 - Add memo for each doc. - Focus on one node of the doc tree. 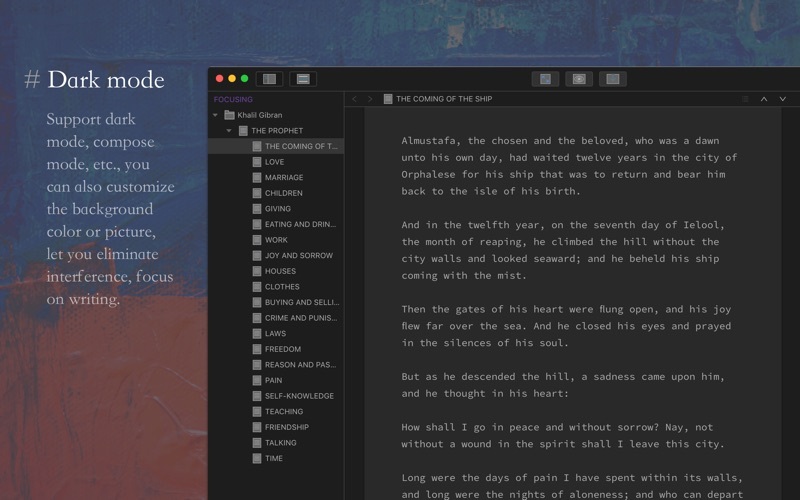 - Search in all docs. - History snapshot for each docs. Hope you enjoy this app. If you have any questions or suggestions about using it, you can contact us via the "Feedback" option in the "Help" menu. Requires macOS 10.9.0 or newer.